Pets have a lot of ways to communicate with their owners in Arlington, VA apartments, but it's not always easy to tell exactly what they're thinking all of the time. 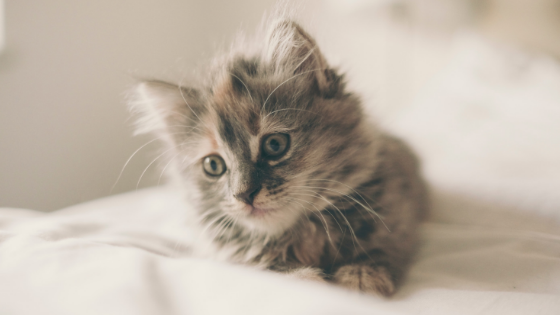 Most cat owners know that purring doesn't always mean that their cat is having a great time, but that's not the only mystery they face on a day-to-day basis. To cut through the confusion, here are three signs a cat is actually content (as opposed to secretly plotting their revenge because you went away for a three-day weekend). When your cat is eating the way they should, it's a sign they're feeling pretty good about themselves and their circumstances. If your cat is excited when they see you grab the food, then they're probably doing just fine. However, just as with humans, too much eating can be a sign of anxiety or depression. Healthy eating can be a difficult one to track for many pet owners, but it's also one of the more reliable ways to tell if the cat is happy. Don't overfeed your cat as a way to tell the difference. A cat who's had enough to eat and in general good health will want to play, which is why you can gauge how your cat feels by how motivated they are when you grab their favorite toys. Only cats who feel their primary needs have been met (e.g., shelter, food, water, etc.) will engage in play, making it a luxury that many pet owners may not even realize. From rubbing your legs to kneading your lap when they're getting ready to settle down, cats can really their affection in a variety of ways. Even if they're just rubbing you (or even a table or chair) to mark their territory, it's a good sign. It shows they're both active and interested in their surroundings. Cat lovers understand certain things that dog lovers just can't see. If you're looking for an apartment that welcomes your cat as much as you do, consider Citizen at Shirlington Village for your next home. Give us a call today to schedule a tour and learn more about our facilities, amenities, and floor plans.